YOU EXPRESSLY UNDERSTAND AND AGREE THAT LOGITECH (OR LOGITECH'S OFFICERS, DIRECTORS, INVESTORS, SUBSIDIARIES, AGENTS, ASSIGNEES, REPRESENTATIVES, SUPPLIERS, PARTNERS, OR EMPLOYEES) SHALL NOT BE LIABLE FOR ANY DIRECT DAMAGES OR ANY SPECIAL, DIRECT, INDIRECT, INCIDENTAL, CONSEQUENTIAL, OR EXEMPLARY DAMAGES, INCLUDING BUT NOT LIMITED TO ANY DAMAGES WHATSOEVER RESULTING FROM LOSS OF USE, DATA, PROFITS, OR OTHER INTANGIBLE LOSSES (EVEN IF LOGITECH HAS BEEN ADVISED OF THE POSSIBILITY OF SUCH DAMAGES), RESULTING FROM THE USE OF OR THE INABILITY TO USE THIS WEBSITE, REMOVAL OR TERMINATION OF THIS WEBSITE, UNAUTHORIZED ACCESS TO OR ALTERATION OF YOUR TRANSMISSIONS OR DATA, ERRORS OR OMISSIONS IN CONTENT ON THIS WEBSITE, STATEMENTS OR CONDUCT OF ANY THIRD PARTY ON THIS WEBSITE, INSTRUCTION, INFORMATION OR SERVICES PROVIDED BY OR LINKED FROM THIS WEBSITE, OR ANY OTHER MATTER RELATING TO THIS WEBSITE. 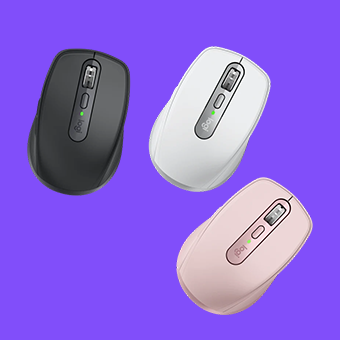 IN NO EVENT SHALL LOGITECH'S AND ITS SUPPLIERS' CUMULATIVE LIABILITY FOR ANY AND ALL CLAIMS RELATING TO THE USE OF THIS WEBSITE EXCEED THE TOTAL AMOUNT OF FEES, IF ANY, THAT YOU PAID TO LOGITECH DURING THE PRIOR YEAR FOR THE SPECIFIC SERVICE AT ISSUE, OR $100.00, WHICHEVER AMOUNT IS LESS. Some jurisdictions, such as New Jersey, do not allow these limitations, so the above limitations do not apply in New Jersey and may not apply in your jurisdiction.